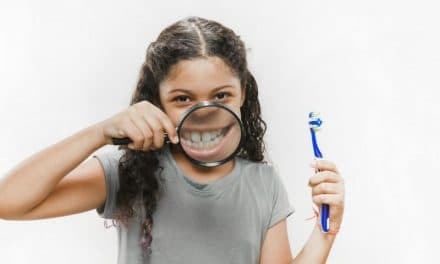 Home » Health » Oral Healthcare » Cosmetic Dentistry » Teeth Whitening » Teeth Whitening Pen – Is It an Effective Teeth Whitening Aid? 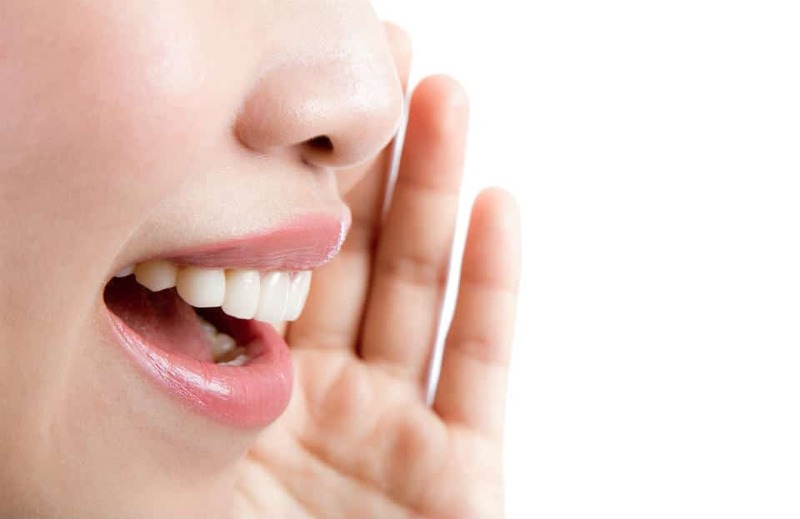 A set of pearly white teeth is the most sought-after requirement for most of us. A teeth whitening helps you to get rid of yellow and stained teeth easily. It is mainly of two types, at-home treatment and professional whitening done by a dentist. Teeth whitening pen is one such at-home whitening aid. Out of the various over the counter teeth whitening aids, like teeth whitening strips, tray, paste, teeth whitening pen is one of the most popular methods. Teeth whitening pens are also called brush-on whiteners because a brush is attached to the top of the pen. These whitening pens contain hydrogen and carbamide peroxide like most other whitening aids. The only difference is its smooth application. It is a go-to aid for those of who are in a hurry and need a last-minute fix for stained or yellow teeth. However, teeth whitening pens also have some significant disadvantages, and some dentists even question its effectiveness. So, let’s see in details how the teeth whitening pen works and how useful it is. In this piece, you will also get to know about the contents of a whitening pen, its advantages, disadvantages and potential risks. Teeth whitening is a procedure which removes yellow stains from teeth, using bleaching agents. Dentists use UV lights, peroxide gels and other bleaching agents for teeth whitening. There are also over the counter products which help you to carry out whitening procedure at home. These products are nothing but teeth whitening aids which are easily available online and in a medical store or supermarket. You do not require any medical prescription for purchasing these items. These aids include teeth whitening strip, paste, gel, tray, and pens. Also read: Baking Soda for Teeth Whitening – Effective or Not? Teeth whitening pens are brush-on tooth whiteners. They are a type of over-the-counter and at-home teeth bleaching product. 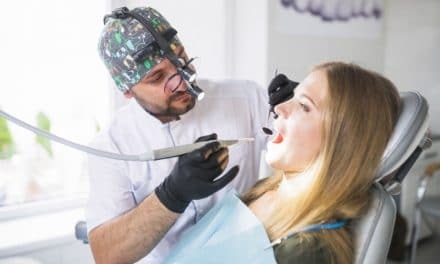 This tooth whitening technique uses the same types of peroxide compounds that are present in any other at-home whitening kits. The only difference is in the method by which you apply the bleaching agent to the surface of the teeth. In any teeth whitening procedure, the bleaching agent must stay in contact with the surface of the teeth for effectiveness. This is even achievable by the use of bleaching trays or plastic strips. But in the case of teeth whitening pen, no special treatment device is needed. The whitening pen is itself the only tool which is required. You have to apply the bleaching gel directly onto the teeth surface with the help of the applicator brush or pen. After application, the gel solidifies into a sticky film that produces the whitening effect. After some time, the film ultimately dissolves or washes away. A whitening pen is an easy and fast method to get desirable teeth whitening in no time. How does a whitening pen work? To know how the teeth whitening brush on pen works, let’s dive into the details about its usage and contents. Whitening pens are hassle-free and effective in removing stains and pigmentation from your teeth for a whiter smile in about two days. You just need to twist, brush and go. Usage details will vary with each product. So, be sure to read the instructions for best results. Paint or brush the whitening pen onto the front surface of your tooth or teeth that you want to whiten. You must apply the whitener to the visible surface of any tooth, with emphasis on the areas that have the heaviest stains. Leave the painted gel or bleach in place for a period of about 30 minutes. The extent of coverage should fall just short of reaching the gum line to prevent gum irritation. For better contact of the bleach to the teeth, allow the film to dry for 10 to 15 seconds after application. You may notice that the whitener adheres to your teeth better if you dry the teeth slightly. During treatment sessions, try to minimize activities that might dislodge the whitening film such as rinsing, eating, and drinking. Try to reduce the amount of wear and tear created by lip or cheek movements against your teeth. 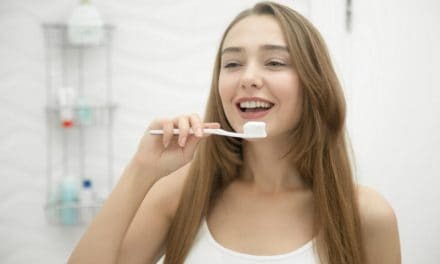 After you are done with the application, which is about 30 minutes, use a toothbrush or rinse vigorously to wash off film from the teeth surface. Carbamide peroxide at a concentration of 18% constitutes the vital ingredient in a whitening pen. This compound has been used the most with tray-based systems but it is also present in whitening pens. An advantage of using a pen is that the bleach can be applied to individual teeth. You may have the situation where you only need to lighten one, or just a few teeth. The significant advantage of using this method over other at-home aids is the fact that it doesn’t require the use of any delivery appliance, such as a bleaching tray or plastic strip. Whitening trays can be cumbersome, hard to keep in place, a cause of gum irritation, or trigger excessive salivation. As compared to tray-based or whitening-strip systems, whitening pens are usually the least expensive way to get at-home whitening. While you may not be able to get the same level of results as with other methods, the results you get may motivate you to pursue other options. A fundamental problem with any brush-on product is that it tends to wash away or get rubbed off easily and quickly. Some people argue that whitening pens are less effective than other at-home techniques. Let’s see for ourselves. A brush-on product and a whitening toothpaste will produce the same lightening effect. However, most dentists consider the use of whitening toothpaste to be the least effective at-home method. Brush-on whitener (6% hydrogen peroxide) was found to be less effective than tray bleaching utilizing a 5% carbamide peroxide gel. 10% is the standard concentration for tray technique. That implies that in comparison, using a tray-based system is typically more effective. As mentioned above, most pen products are based on standard peroxide tooth bleaching formulae. This means that the side effects that other whitening aids carry are the same in case of whitening pens. The potential risks are gum irritation and tooth sensitivity. For most people, however, these are only mild and do not require attention from a dental professional. Teeth whitening pen is easy to carry and go to technique to achieve a reasonable quality of teeth whitening. However, it has some minor disadvantages. But all in all, it has more advantages over other home-based teeth whitening aids. Teeth whitening pens are inexpensive and your teeth will shine for at least 2 weeks. But if you wish to have a superior and long-lasting whitening effect, you can go for tray-based professional teeth whitening solution.